ENP Executive Director Steve O’Neil is a self proclaimed Wildlife Warrior who fights for wildlife conservation through exciting hands-on education, unique wildlife conservation projects, wildlife rehabilitation and onsite and in the field outreach programs. Steve has now branched out to help save the largest creatures on the planet–whales! Steve has become a Whale Warrior and joined forces with the Sea Shepherd Conservation Society in their fight to save whales in the southern oceans. In the next few weeks Steve will be setting up a Sea Shepherd display in the Earthshine Nature Center. The display will have informational materials, a video and more that will teach visitors about how they can be a part of the fight to save the whales from extinction. 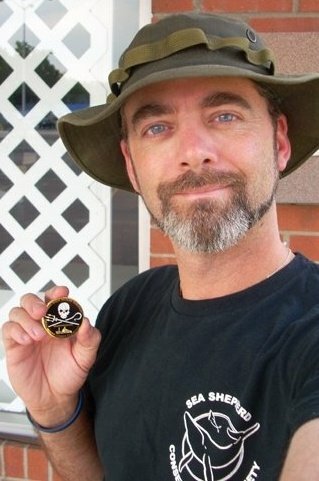 Take a look at Steve’s Whale Warrior website for more information and to find out how you can help Steve help the Whales.